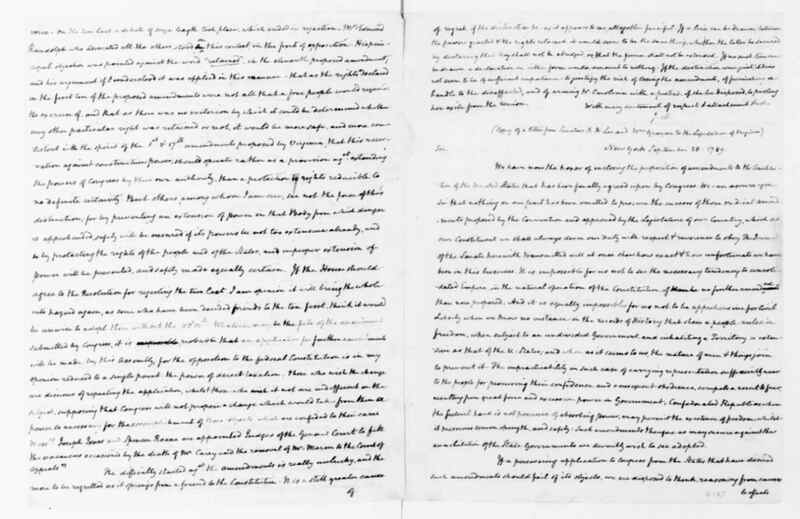 This James Madison letter to George Washington gives you an idea of the many factions and sides during the ratification of the US Constitution and Bill of Rights. 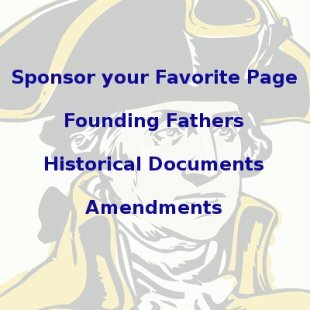 It shows how some believed the federal government was going to be too powerful unless a Bill of Rights, which is a special list of specific rights guaranteed to the people, was included. Many, including Richard Henry Lee, who wrote the letter James Madison refers to, didn't even want to accept the new constitution unless these rights were clearly spelled out. Since my last I have been furnished with the inclosed copy of the letter from the Senators of this State to its Legislature. (1) It is well calculated to keep alive the disaffection to the Government, and is accordingly applied to that use by violent partizans. I understand the letter was written by the first subscriber of it, as indeed is pretty evident from the style and strain of it. The other it is said, subscribed it with reluctance. I am less surprised that this should have been the case than that he should have subscribed it at all. My last information from Richmond is contained in the following extract from a letter of the 28th of Novr., from an intelligent member of the H. of Delegates. "The revenue bill which proposes a reduction of the public taxes one fourth below the last year's amount is with the Senate. Whilst this business was before the H. of Delegates a proposition was made to receive Tobacco & Hemp as commutables, which was negatived, the House determining still to confine the collection to specie and to specie warrants. Two or three petitions have been presented which asked a general suspension of Executions for twelve months; they were read, but denied a reference. The Assembly have passed an Act for altering the time for choosing Representatives to Congress, which is now fixed to be on the third Monday in September, suspending the powers of the Representative until the Feby. after his election. This change was made to suit the time of the annual meeting of Congress. The fate of the Amendments proposed by Congress to the Genl Government is still in suspense. In a Come. of the whole House the first ten were acceded to with little opposition; for on a question taken on each separately, there was scarcely a dissenting voice. On the two last a debate of some length took place, which ended in rejection. Mr. E. Randolph who advocated all the others stood on this contest in the front of opposition. His principal objection was pointed agst. 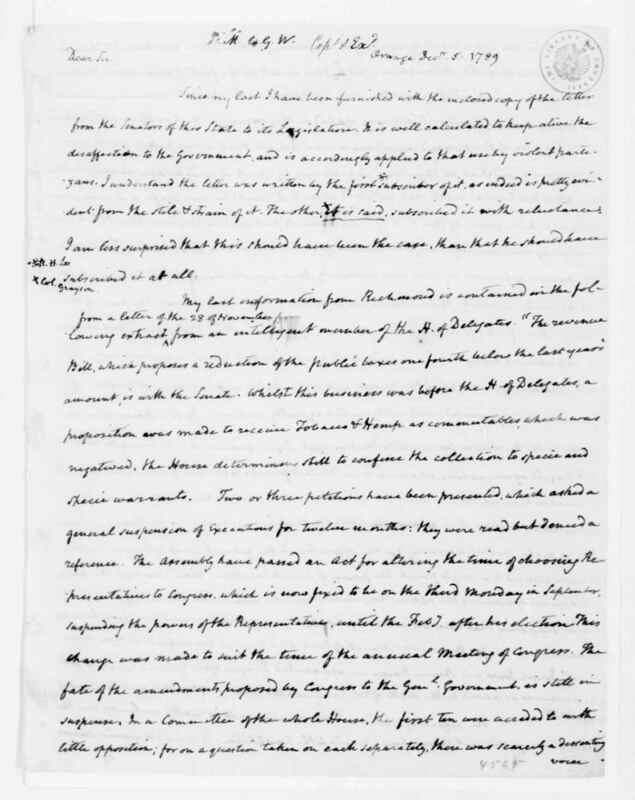 the word 'retained,' in the eleventh proposed amendment, and his argument if I understood it was applied in this manner--that as the rights declared in the first ten of the proposed amendments were not all that a free people would require the exercise of, and that as there was no criterion by which it could be determined whether any other particular right was retained or not, it would be more safe and more consistent with the spirit of the 1st & 17th amendts. proposed by Virginia that this reservation agst constructive power, should operate rather as a provision agst extending the powers of Congs. by their own authority, than a protection to rights reducible to no definite certainty. But others, among whom I am one, see not the force of this distinction, for by preventing an extension of power in that body from which danger is apprehended, safety will be insured, if its powers be not too extensive already, & so by protecting the rights of the people & of the States, an improper extension of power will be prevented & safety made equally certain. If the House should agree to the Resolution for rejecting the two last, I am of opinion it will bring the whole into hazard again, as some who have been decided friends to the ten first think it would be unwise to adopt them without the 11 & 12th. Whatever may be the fate of the amendments submitted by Congress, it is probable that an application for further amendments will be made by this Assembly, for the opposition to the federal Constitution is in my opinion reduced to a single point, the power of direct taxation--those who wish the change are desirous of repeating the application, whilst those [who] wish it not are indifferent on the subject, supposing that Congs. will not propose a change which would take from them a power so necessary for the accomplishment of those objects which are confided to their care. Messrs Joseph Jones & Spencer Roane are appointed Judges of the Genl. Court, to fill the vacancies occasioned by the death of Mr. Carey & the removal of Mr. Mercer to the Court of appeals." The difficulty started agst the amendments is really unlucky, and the more to be regretted as it springs from a friend to the Constitution. It is a still greater cause of regret, if the distinction be, as it appears to me, altogether fanciful. If a line can be drawn between the powers granted and the rights retained, it would seem to be the same thing, whether the latter be secured by declaring that they shall not be abridged, or that the former shall not be extended. If no such line can be drawn, a declaration in either form would amount to nothing. If the distinction were just it does not seem to be of sufficient importance to justify the risk of losing the amendts., of furnishing a handle to the disaffected, and of arming N. C. with a pretext, if she be disposed to prolong her exile from the Union. With every sentiment of respect & attachment I am Dr Sir Yr Obedt. & hble Servt. 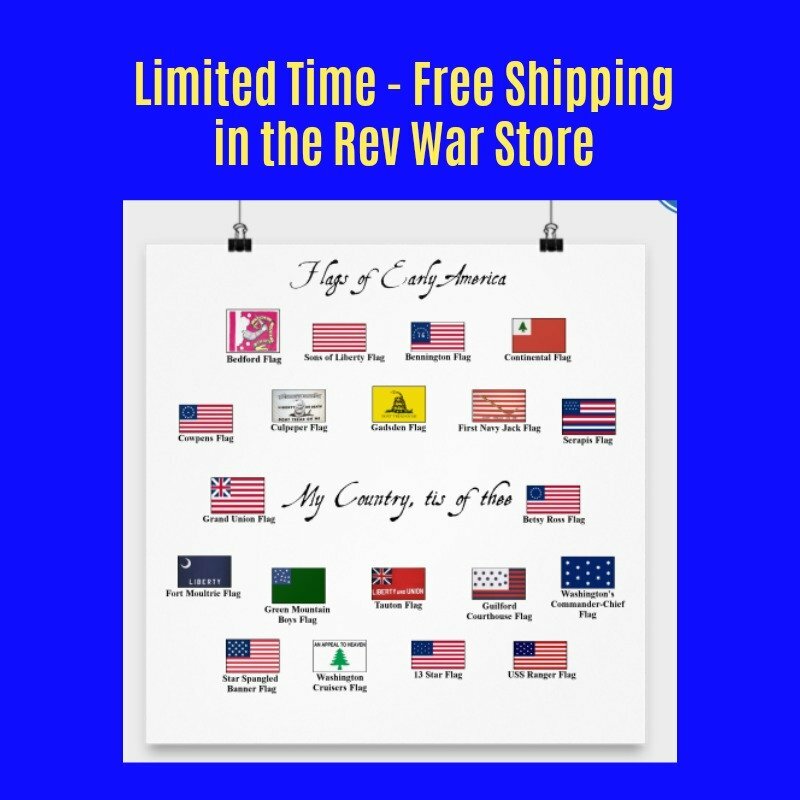 The letter was dated September 28th and signed by Richard Henry Lee and William Grayson. 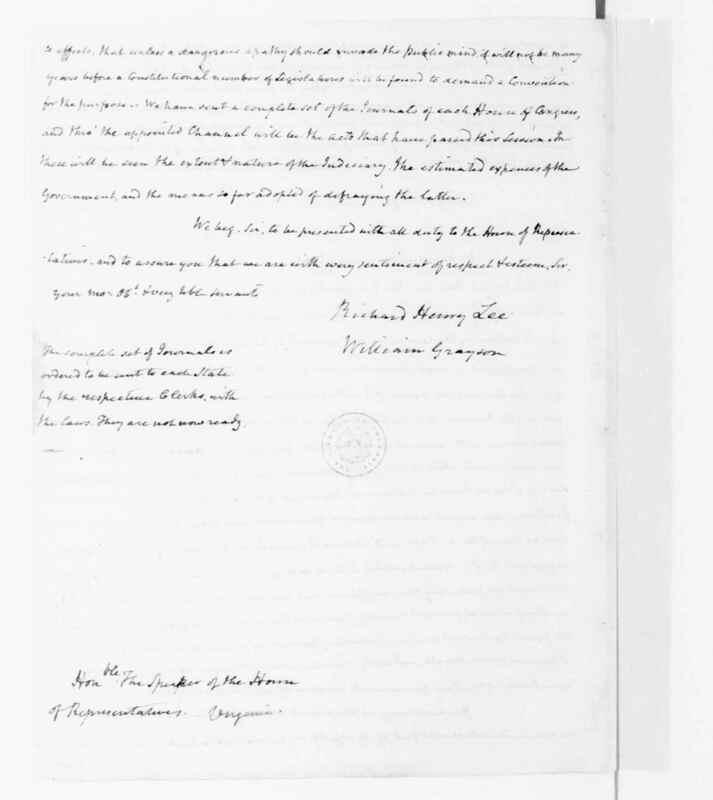 It said: "It is impossible for us not to see the necessary tendency to consolidated Empire, in the natural operation of the Constitution, if no further amended than now proposed," and that civil liberty could not exist in an undivided government over so great a territory as the United States. They favored persevering application by the States to Congress for more amendments, and if it failed then a convention should be called.-- Mad. MSS. Read more about James Madison and George Washington here. And read the US Constitution here.